ANTIQUES GALORE GAL: KIMMSWICK'S 1ST ANNUAL WITCHES NIGHT OUT WAS A HUGE SUCCESS!!! This is a Flickr badge showing public photos and videos from antiquesgaloregal. Make your own badge here. Fall Barn Sale - We would love to have you at the barn for our fall sale! Facebook is our primary way to communicate now, so please "like" us there and follow along! 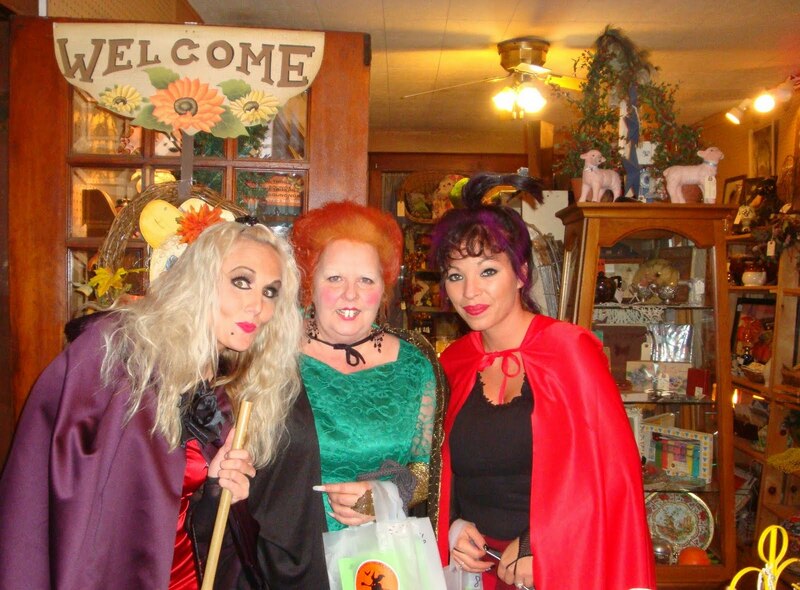 KIMMSWICK'S 1ST ANNUAL WITCHES NIGHT OUT WAS A HUGE SUCCESS!!! Around 2,000 witches showed up for a night of shopping and fun. The three above are dressed like the Hocus Pocus witches and came into my shop. 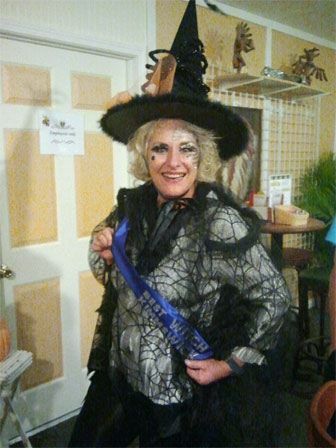 All the shops voted on the "best witch" costume and here she is! All the witches were looking for "body parts" for the scavenger hunt. lol! I had mine on the front counter...More time to shop if they find it right away! Of course, the town was decked out and ready for our visitors. 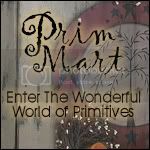 This is a photo of one of our newer shops, the Picket Fence Primitives. We even had witch cupcakes to marvel over! I'm hoping to get some pictures to post later of our winners for Best Witch, Best Broom and Best Wig. All the shops received ballots we turned in at the end of the event. The winners received prizes. We are already looking forward to next year's event. Those 'Hocus Pocus' witches look Great! It all looks like so much fun! Thanks fo sharing. I love those Witchies, but it's your shop in the background that looks so interesting. It must be SO much work, but also SO much fun to arrange and display everything. Happy Halloween a month late, and Merry Christmas a few weeks early !!! 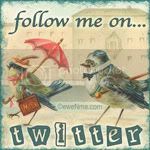 MY ETSY SHOP ANTIQUESGALOREGAL, CLICK ON ANY PICTURE TO VIEW WANT TO BE NOTIFIED WHEN I ADD NEW ITEMS??? MY ETSY SHOP VINTAGE TINSEL. CLICK ON ANY PICTURE TO VIEW WANT TO BE NOTIFIED WHEN I ADD NEW ITEMS??? I WAS FEATURED ON SHEKNOWS.COM!! TAKE A LOOK! DOUGH DEPOT MENU CLICK TO ENLARGE! MORE GRAPHICS FROM FREE PRETTY THINGS FOR YOU.